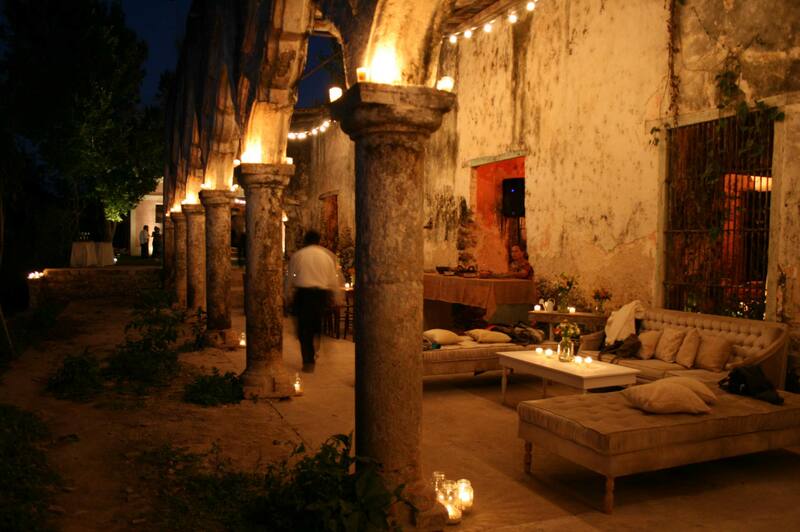 A romantic, ancient ruin, Hacienda Subin is a breathtaking property located less than 25 kilometers from Merida, the historic capital of the state of Yucatan. A former rancho and henequen plantation, the nearly 40 acre property includes a 17th century “Casa Principal” fronted by 11 Moorish arches, a magnificent “Porfiriano” style machine house, an ample swimming pool surrounded in ancient stones and an elegant two-bedroom pool house. A sense of history is pervasive at SUBIN. The hacienda is now available as an event, photography and film location.